Hi everyone! 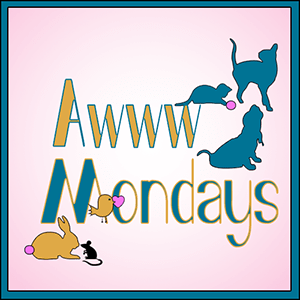 We are joining Comedy Plus’ Awww…Mondays Blog Hop today. I also made a meme for McGuffy’s Reader’s Sparks. I spotted this sunflower in a field of weeds on the way to my niece’s house. I thought it would make a great spark. “Be a sunflower in a field of weeds”. And this is our awww…worthy photo of Prancie. This week’s theme is songs with numbers in the title. I know I used Summer of ’69 before, but I love that song because I was born in the summer of 69. Prince’s 1999 makes me feel old, I remember when it came out and 1999 seemed so far away. Now it seems so far away from the other side of it. I chose Goody Two Shoes because I tap danced to that song in a dance recital many years ago. Hi everyone! We are joining Comedy Plus’ Awww…Mondays, McGuffy’s Reader’s Sparks and Book Date’s It’s Monday! What Are YOU Reading? My Spark is a quote from Louise Hay: “Remember, you have been criticizing yourself for years and it hasn’t worked. Try approving of yourself and see what happens.” I think I will give it a try and I hope you all do too. 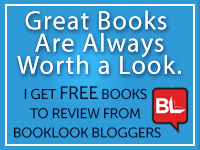 About a month ago, I told you about a memoir I read by Joyce Maynard titled The Best of Us. I enjoyed it so much that I decided to read another memoir of hers published 20 years ago. At Home in the World was also a great book. When the author was only 19 years old, she had a one year affair with JD Salinger. After reading this, it is clear the Salinger was an egotistical—— ( words I can’t write on my blog). This only covers a small part of her memoir, but I found the entire book interesting. Joanie hasn’t shown her tummy in quite a while so she thought you may all want to see it. Penny will be back with one of her tips tomorrow. Hi everyone! We are joining Comedy Plus’ Awww…Mondays, McGuffy’s Reader’s Sparks and Mewsic Moves Me ( hosted by Curious as a Cathy, Xmas Dolly, JAmerican Spice and Stacy Uncorked.) Book Date’s It’s Monday! What Are YOU Reading? And it is day 8 of the A-Z Blogging Challenge. For the letter H, I made a hedgehog, but you need to use your imagination because it didn’t come out exactly as I had hoped it would. My spark is a quote from William Arthur Ward. “Feeling gratitude and not expressing it is like wrapping a present and not giving it. ” Remember to always express gratitude. I have been reading the memoirs of Reynold Price. I started with A Whole New Life: An Illness and a Healing which was his third memoir. He was a fiction author that survived cancer of his spinal cord that left him a parapalegic. This memoir was about that ordeal, I enjoyed his writing so much that I got his other 3 memoirs out of the library. Ardent Spirits was about his time at Oxford University which was also interesting. Once I get through the other 2, I may look into his fiction. Has anyone ever read his books? This week for Mewsic Moves Me has Easter songs for a theme. From The Passion of the Christ Film, Brad Paisley and Sara Evans-New Again. 2. Cat Stevens -Morning Has Broken (1976)-Not an Easter song, but I think it is appropriate. Sorry this was such a long post. I am honored to be the Spotlight Dancer this week on Mewsic Moves Me, Xmas Dolly chose my theme choice which is song titles that are names of places-thank you! And here are my choices- all NYC related. Emmy is posing with the book. And Brody wanted to pose with one of Tucker’s photos, they look a little alike. I went to photofunia and made this for my spark. I hope it makes you smile. I have always been a fan of Prince, my Angel Phoebe posed with my purple record in April 2016 after his passing. 3. Blue (LeAnn Rimes)- Haven’t heard much about her lately, but her voice is incredible. I do have a great book to tell you about , but I thought this post was long enough so I will have that on Wednesday.